We are becoming a second-to-second collective in this country. What I mean is that day-by-day we are becoming a more technologically oriented nation. We have access to information all around the world in a microsecond. We have become accustomed to coverage of events, entertainment, etc. to be delivered to our eyeballs within the moment we want it. The rise of social media such as Vine and Snapchat have whittled our conversations down to 6 and 10 second pictures and video clips. In the case of Snapchat, once you view a colorful photo or “story” a friend it is gone after that initial viewing. 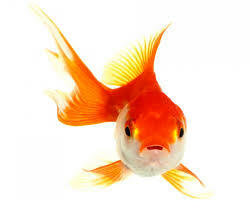 According to the Statistic Brain Research Institute, our collective attention span as of 2015 is less than that of a goldfish. The rise of technology and social media is a factor in this staggering decrease in attention span. This is a fine example of Technological Determinism. Where the technology of one society shapes the culture at large. Speaking for myself, in the last few years I have been using my phone much more frequently than I ever have before. I have noticed decreased dedication ability when focusing on one task. Watching a movie on my phone that I’ve been eager to watch is dashed by the desire to check Facebook, or text a girl I’ve been talking to. Even writing this blog is delayed by invasive thoughts of doing something else. With access to ongoing issues all over the world it is difficult to dedicate ourselves mentally or emotionally to one thing for a long period of time. Tragedies that have occurred in recent years, whether they be school shootings or any recent terrorist attacks, have faded from the public who at the height of the hysteria were gung ho for systematic change have died down and the collective pain we felt has faded. Nothing registers or permeates as vividly as it down about 15 years ago. At CCSU’s Bridging the Gap: A Dream Deferred event on Dec. 10, educator Tim Wise brought up many excellent points relating to the title of this blog. He discussed that in history class we are given a glimpse of the horrific treatment of Blacks during their time as slaves during the civil rights movement of the 1960s but we are not always shown to us in school due to the shame our country felt.